Minecraft PvP Texture Pack TITAN v3 is one of the best animated PvP Resource Packs. Texture Pack has high resolution based items and works with Minecraft 1.7.9, 1.8.8, 1.8.9. More over there are 2 more versions of TITAN PvP TEXTURE PACK available: Titan V1 and Titan V2. 2Sneaky4You made the animated Titan Resource Packs. 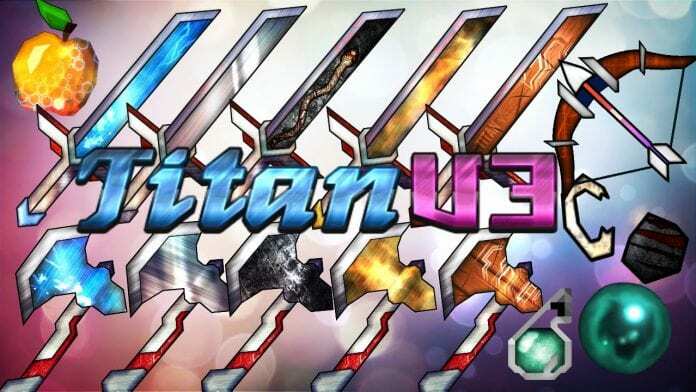 How to install PvP Texture Pack Titan 1.9? Animated PvP Texture Pack TITAN v3 is definitely worth a download! You should also check out Titan V1 and V2! :) More information: 2Sneaky4You does not "create" Titan Texture Packs, he only animates their textures. The description of his "Titan release" says: "Animated from scratch by 2Sneaky4You" Be sure to check him out! Credit: 2Sneaky4You, Brobi. I Pasted It Into My Resourcepack Folder Again Doesnt Show Up In Game Please Help! For me the download link works! MCPlayer908213, of course you are updated from them, look at their dates, the dates are like 2 months ago and they fixed the download link.